RJ45 male connector for bulk CAT5e/6 Super Flat cable (previously sold as CAT5E-SF-RJ45). 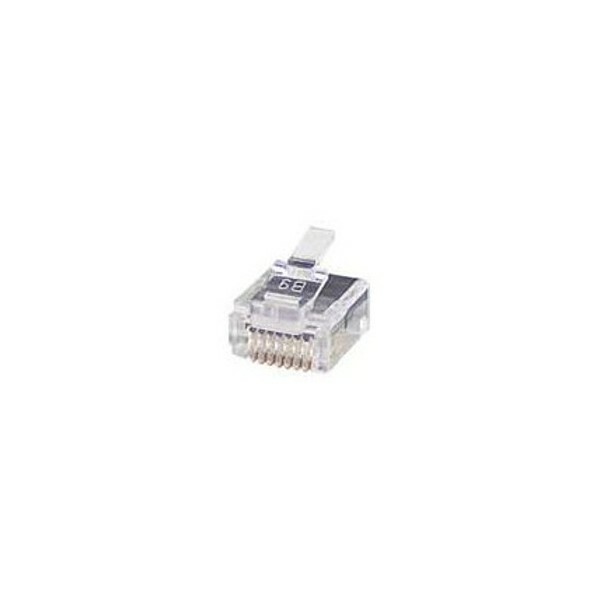 Compatible with CAT5E-SF-BULK-BLACK06,CAT5E-SF-BULK-WHITE, and CAT6-SF-BULK-BLACK. Accepts 28 to 32 AWG wires. 250ft 28AWG CAT5e UTP Stranded, 0.06 or 0.075" Super Flat Bulk Ethernet Bare Copper Cable - Black or White. 250ft 28AWG CAT6 UTP Stranded, 0.06" Super Flat Bulk Ethernet Bare Copper Cable - Black. 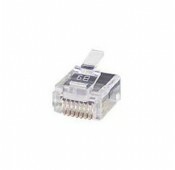 Auto-terminate CAT5E-SF-RJ45 plugs and other RJ45/RJ11 connectors.